We sure would like to hear an honest review of the Safir T-14 from one of our fellow smallbore shooters. If you have a Safir T-14 .410, or know someone who does, encourage them to drop us a line here at smallbore. I won one in a raffle and have been anxious to use it more. I have shot about 15 rounds of Remington #6 game loads that didn’t cycle well. It was getting hung up every 3-4 rounds. I plan on trying some different shells to see what works and hope it’s something that isn’t all that expensive. I’ll try to keep you posted. That’s a picture of 3 rounds from the SAME box. Notice how much longer the middle round is? Also, the left and middle rounds bulge at the top while the right one doesn’t. I also own a S&W Governor (.410ga/.45 Long Colt/.45 ACP), and had a tough time getting the bulged rounds to fit, had to push harder to get them into the chambers. I imagine the FTF’s you’re getting hung on are the slightly wider rounds getting stuck on the barrel hood or feed ramp. I’ve found that Winchester Super X rifled slugs work pretty well. 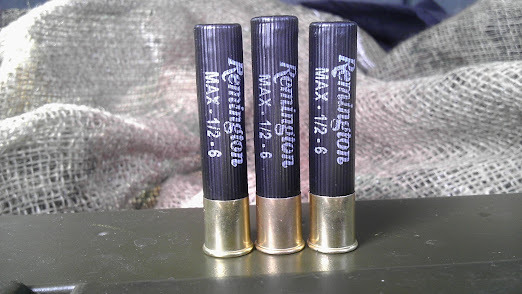 The manufacturer recommends Remington Premier STS #9, which work ok in the 5-rounders, but not as well in the 13-rounders if you load more than 6 (it gets too tight to feed reliably). I’ve been in contact with Safir Arms’ production manager about these issues and am hoping that between my feedback and their own testing, they can resolve some of these problems in the factory. Does anyone know of any smooth hulled rounds I could try? Heah, anymore rounds thru that Safir yet? – Winchester Super X .410 2.5″ Rifled Slugs (X41RS5) worked great. Their smooth, un-ribbed casings fed easily, and cycled without issue on both the 5 and 13-round magazines. – Remington Premier STS #9 shot (REMSTS4109) also worked well on the 5-round magazines, but tended to fail to feed if I loaded more than 6-7 rounds on the 13-round magazines. – Remington Game Loads #6 shot (GL4106) shot great in the 5-round magazine, but the individual rounds in the box varied considerably in length and crimp flare. It seemed like the only time I had issues with this brand was when I’d cycle one of the flared rounds, but the others seemed to work well. – Federal Premium Personal Defense #4 shot (FEDPD412JGE4) works, but due to the length of the exploded cartridge, I’d experience at least 1-2 fail to ejects per magazine. – Federal Premium Personal Defense 000 buckshot (FEDPD412JGE000) was a little too large in diameter to feed properly without getting stuck. I’m tempted to try to some Sellier & Bellot 2 1/2″ 000 Buckshot, but I’m not sure if I can source it locally. I’d rather bring my mag with me to the store and place a couple of rounds in it to see if they fit before buying a box. Round 410 hulls, roll crimped, have always given me the best performance. Previous Couldnot pass this one up!